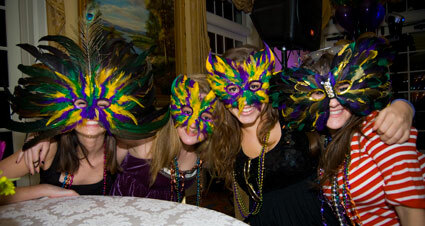 Mardis gras theme parties are a lot of fun because everyone gets to dress up and act a part throughout the night. There are so many great party supplies for a mardis gras themed party that you really can’t go wrong or not find the right supplies for throwing a party like this. Traditionally a mardis gras theme party includes beads, colorful masks, king cake, glow items, colorful drinks, good food, and zydeco music. Colors used in mardis gras that are common are purple, gold, yellow, green, blue, white and silver. In New Orleans during mardis gras anyone will tell you that the white beads are the most valuable and most highly prized. You can combine a mardis gras party with a blacklight party or a glow party to get a party that not only has the fun of masks and beads, but will allow all of your guests to glow and wear things that glow. It’s easier to buy everything that you need online because you’re going to need more than most party stores will have in stock. Make sure that you have a mask for every person who attends your party. Plan on 4 sets of beads for each guest who attends. Not every guest will wear 4 sets of beads but it will allow you enough for decorations and for people to collect them throughout the night. There are a number of costumes that you can either rent or purchase. One of the best things is have guests arrive in cocktail party attire and either have them bring their own mask or they can pick up a mask once they arrive at the party. Setting the room up with all the related mardis gras themed and colored items will really make your party stand out. Setting the mood is critical to any party, you want guests to immediately feel they are immersed in the theme of the party. Through the food, to the cake, to the plates, to the serving wear, repeat the mardis gras theme as much as you can throughout the evening. These song selections are sure to get your guests in the mardis gras party atmosphere through the upbeat feeling of the these Zydeco music selections. 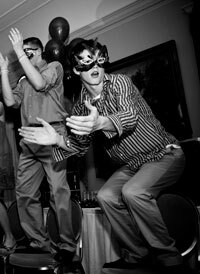 It’s best to start the party off with Zydeco music and then progress into more modern songs that your guests will know. Or you can have a dancer come and show your guests how to dance to Zydeco. The dance styles associations with Zydeco are very similar to 2 step. The food from New Orleans is some of the best in the world. Po’ Boys, boudin, beignets (fried doughnuts), seafood, cajun flavors, gumbo, jambalya, red beans and rice, shrimp and grits, are all types of food served in New Orleans. King cake is traditionally served for mardis gras as well as red beans and rice depending on the days leading up to mardis gras. Examples of glow things are glow sticks, necklaces, neon colored clothes, tide, anything white. These will look awesome throughout the night and will help make your party really stand out. The colors associated with a mardis gras party work well with glow items. Make sure you have enough beads, masks, hats and party items for each of your guests. Plan on extra in case more people than you expect show up. Give yourself plenty of time to get all of your mardis gras party items in time for your party. Ordering items in January-February (when real mardis gras occurs) is dangerous, many places will be out of stock when you order. Time is your best friend! Get a good mix of mardis gras items. Give your guests plenty of options of cool things they can use to get in the spirit of the party. Mardis gras parties are always a great time, any party where guests can take on alter egos and personalities or hide behind masks can create for a very fun and cool atmosphere. 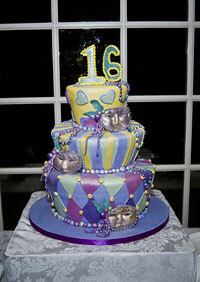 The colors are fun, the options are limitless and there are a ton of great things you can do with a mardis gras party. Have fun!